Post Super Bowl sadness enter… Now! Super Bowl Sunday is a day filled with football, commercials, friends, and food. Lots and lots of food when I’m around. 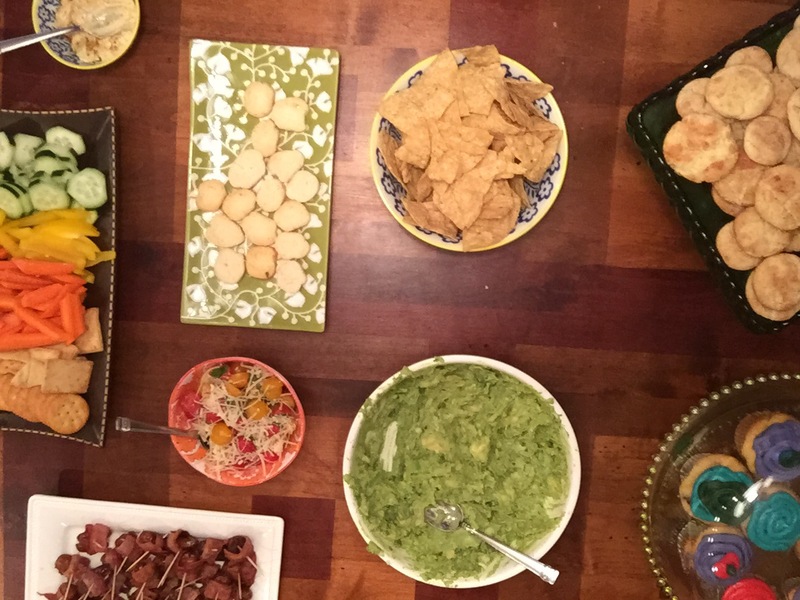 Because really, what is a football game without friends and snacks? Way less fun is the answer. Though a snackadium (Google it) surfaced a few times as a viable idea, I talked the kids and friends out of it in favor of other favorites. To clarify, yes, I did host this party with the kids, but I also invited my friends. After much debate we decided on guacamole (duh! ), bruschetta, bacon-wrapped dates, spinach and artichoke dip, and nachos with cupcakes and snickerdoodle cookies for dessert. And what’s a party without a signature drink? My best friend Sue made “fizzy punch” for the kids.